Yes, I know about the risks. If I will never manage to get rid of the Raven RV03 case, I would be stuck with a Micro-ATX motherboard inside a behemoth of a case. That would not make much sense to anyone who doesn't know the complete story. Still, Micro-ATX boards are not that small anyways. 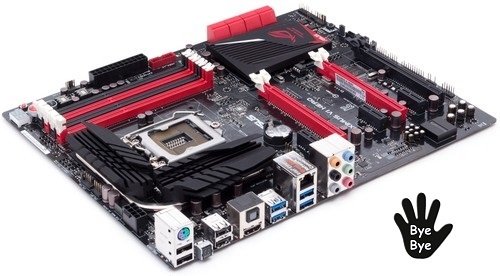 They are short but maintains the same width as that of a ATX board. Since I don't have anything other than the GPU installed in the PCI-E slots, it would not look that weird. On the plus side, I would hope that the power consumption of the PC would drop slightly because there would be less components on board. So what motherboard should I get? That's topic of a long discussion I suppose. I'm going to start my research from this point onwards. After all, it could take many months before I can get rid of the board. Like I said before, I'll be buying a micro ATX board regardless of whether I manage to sell the case or not- the pricing syncs with my pocket.